Excellent build quality and easy to install. Not too big and easy maintenance is a plus. This is my filter of choice depending on budget. Prefer these to plastic filters and no chance of o ring leaks as it's all sealed. Just wish it was more affordable as its been jumping up in price. It looks good, is compact, sturdy and I think the brass is better than plastic. I personally prefer filters with isolation valves though. With the Magna Clean filters you can show the customer what has been removed as you can take the whole magnet out, and I like that feature. Reasonably priced. Sturdy design - I think the brass is better than plastic. However, I would prefer the filter to have isolation valves. The compact size makes it easy to use as well as the rotation feature. The pricing is competitive but a bit more expensive to have the valves and I would want them. Seems better than plastic filters but will know more when servicing in a year or so. Good size as being small means I can use it in compact spaces. Harder to clean without the valves and harder to show the customers what it has collected up - magna filters are easier to unscrew the whole magnet and empty out to show customers. Twisting/rotation feature is good to get the right angle. Similarly priced with other competitors. Beautiful! Solid and sturdy design, magnet seems strong, easy to empty. I like the metal design over the plastic as you don't get cross threading on the nuts. Didn't both me not having valves. Easy to show the customer how to empty it/clean it. Competitive pricing. Sturdy design as uses metal not plastic. Magna clean have slightly smaller filters so whether I used them or the Fernox Omega depends on the job. The drain down feature is really useful. Option with valves is easier to clean. Standard pricing compared to competitors. Solid metal - should be longer lasting than plastic ones. Small and compact so easy to use in small spaces. At first I thought I wouldn't like the option of no valves but it is actually handy for when you need more space. Good that you can rotate easily to change the angle. Competitive pricing - maybe even better value for money than other brands because of the metal not plastic, as long as it lasts longer. The Inta filter I use sometimes is plastic so eventually looks worn, but the Fernox omega filter is metal so much more sturdy - basically bulletproof! Drain off feature makes it easy to add a hose to. The version with the valve is better for me personally but just personal preference. Easy to use, just have to make sure you really tighten with it but not necessarily a negative. Competitive pricing when bought from merchant in deals of 4. Seem like it is very well made and like it will be long lasting. Easy to fit as well as easy to maintain. In line with general price for filters. Solid brass body olds ridged with the pipe work. This particular model has no isolation valves for removal. Very easy to flush, isolation valve on the bottom with 1/2 inch thread is perfect for hooking a hosepipe onto. Around the same price bracket as other leading brands - totally worth it! All brass structure, nice and solid to work with. Come with quality rubber washers. Great product but the only thing for me is to make sure I only use the one that comes with the isolation valves as I wasn't aware they were an extra. Nice and simple to install and maintain. Competitively priced with other brands available. Nice and sturdy construction. Easy to fit and maintain - looks like it will last a long time! Very easy to service. Have checked prices online and they seem very reasonable! Solid component throughout - no plastic. Easy to install has 2x compression nuts and has built in drain off. 25 year guarantee will out live any boiler. Overall build is good - very compact so very easy to install and looks good. Easy to clean and well assembled. Maintenance is very simple. Very competitively priced. Strong and robust filter. 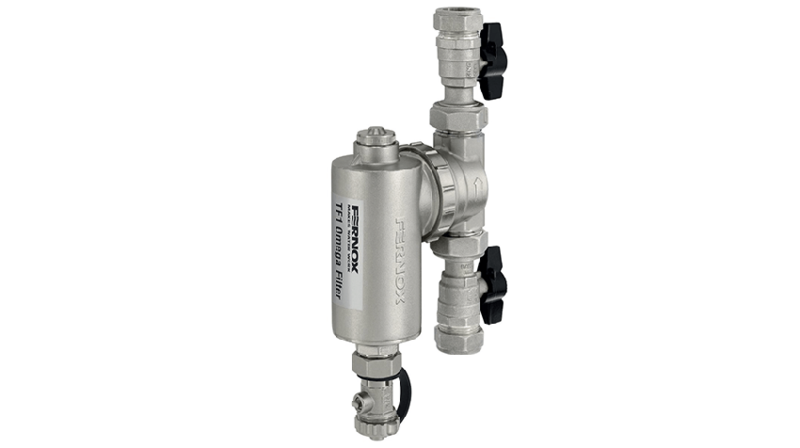 3 stars for features as there is no isolation valves or dosing point. Easy to remove sludge but be careful of spray. Priced in its group for good quality filters. All parts line up with minimal play. Would have rated features at 5 stars but the magnet seems a little small. Very easy to use - no issues at all. Compared to others its compatible in price. The build quality of the product was high as it has a sturdy all metal body. In terms of features and ease of use, it was easy to add an inhibitor, and it was easy to fit. The product is priced the same as most other competitors. Its a Good filter but i think adey might be slightly better. Simple to install and simple to commission. Priced is good. Really solid feeling quality Filter. Looks more high end than the plastic equivalents. Easy to fit and highly effective. My go to Filter from now on. Great little filter. They come now standard with the ideal max range. Work really well an absolutely solid little product. Overall a good filter which is solid brass and doesnt leak, seems to work collecting debris, harder to add inhibitor, unlike the Pro2 you just pour it in. I have been using this filter on every new boiler installation that I do. 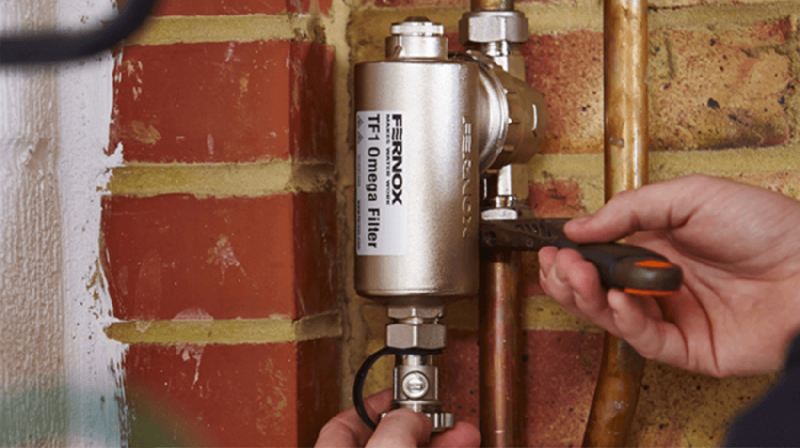 I previously used another popular type but found the Fernox TF1 to be easier and more adaptable to fit. When I fill the system for the first time after fitting a replacement boiler, to run it for a hot flush, the filter immediately starts to remove suspended contamination from the system water. 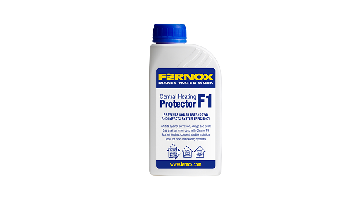 It works even more effectively with Fernox F3 added to the water to meet manufacturer’s recommendations. Other chemicals are available for heavily contaminated systems but I have not yet had need to use them. What a great filter. Head a shoulders above the old TF1's. Small, neat, easy to clean, any orientation, good valves or slip socket. A pleasure to fit. Fantastic filter, highly recommend. Works great doesn't leak and doesn't cause air ingress like the plastic filters. Slim design with internal magnet. Great filter, fitted a few of these now. Only thing that puts me off is magnaclean is a lot easier to use in conjunction with my magnacleanse. This is a no brainer!! The only filter on the market that I will fit in domestic properties. Nothing else comes close. A very smart looking filter, not as bulky as the ones from before. not much to go wrong either, as it doesn't need extra washers or servicing kits. This is my go to filter. It's completely solid and easy to fit. The shorter bodied slip socket version is great for tight spots. Highly recommend. Hassle free easy to install and maintain , always fitted magnaclean up until recently. All metal so less chance of anything leaking. Well built filter, small and compact yet perfectly adequate. Is great to work with and build quality is strong. Only fitted a couple of these, found it easy to fit. Straight swap for a leaking plastic tf1. Like the metal build which makes it feel and look a quality item. I have fitted only a few of these and the build quality is excellent I found it easy to install and clean out .Price is comparable with other products but think they should up the guarantee to compete. Absolutely love this new filter. By far the best on the market, and with the deal I've got in place, it's the best priced also. Can't recommend enough. This is the new king of filters, good price, easy to install and looks nicer than other on the market. If you have not tried it yet you soon will as ideal boilers use the same magnet for extra warranty. Great bit of kit, we were magnaclean pro 2 before we tried the omega it's now 90% omega price is right and quality is superb. Great quality product. After spending years fitting Adey and Spirotech products I've now found the perfect filter. Looks good, works and built to last. Perfect. Much much better alternative to the TF1 filter, easy to install, strong and sturdy filter made of brass therefore very unlikely to leak, would recommend. One of the better filters on the market at the minute, feels and looks good quality and the price is good too. Looks much better than a black plastic filter. I have started to only fit these filters on my installs. I like this filter, it feels far better fitting a metal product than a plastic one. It looks really well on the pipework too. The only filter I install now, as in my opinion it is the best filter on the market. I love it's sleek design and it blends in nicely without standing out too much. It seems well built and has a brilliant guarantee, will just have to wait and see how good they last as they are quite a new product to the market but I can't see any issues arising as of yet. I still prefer to remove the lids on filters so that I can see how much crap they have collected but I can see why they haven't went for this design. Just started fitting these haven't looked back. Superb filter robust easy to fit and reasonably priced compared to others. Fitted my first last week, very imprsssed with the amount of magnetite it attracted while flushing. Easy to install chemicals via Aerosol, Valves and Build Quality very good and best part about it is the fact it's very compact! I fit these filters everyday along side power flushing. By far the best designed filter on the market. Love the brass construction. Vast improvement over the old plastic TF1. Will now be my filter of choice. Seems to be much better than the TF1, with it being all metal it should hold up much better. It's very heavy though because it's all metal so choosing the correct spot with enough support is critical. I've fitted about 6 of these now, And they have all been the ones with valves. And sorry Adey but I like the solid structure. However I do miss been able to screw the top of and look at what it court. I got my first one of these the other day.its built like a tank. It looks like a quality product that will give service for years to come, The pipe work will need support. Only fitted one but a good filter will definitely fitting more. Hi. I'm Dave from DCB Plumbing and Heating. I'm a member of Expert Trades, and today we're going to be doing a review for Tool Talk. Today, I'm going to be reviewing the Fernox TF1 Omega Filter. It's a magnetic filter that you put on the return pipe to your boiler installation. I'm actually here today on an installation, so I'll tell you about that now. Today, we're reviewing the Fernox TF1 Omega Filter, 22 mil nuts. This is the one without the external valves that come on either side. In the box, we have a little leaflet to go with it. You have your drain off valve, and then we have the filter itself. With the filter, you've obviously got your one directional which doesn't make any difference, because it can go in any way, whichever way your pipes are going, whichever way it needs to go. None of that is a problem. One of the great things about this filter is the double O-ring section, which means you've got almost zero chance of any leakage to happen once you get it filled up, once you get it started. You can get everything in the way, and then you've got no problems that you're thinking, oh that might leak. Oh I can't get to that nut, because you know it's going to be pretty sound and secure with the double O-ring. Full brass construction makes it very sturdy, good unit to get hold of. Everything about it does feel extremely sturdy. Like I say, when you're moving these things, they're quite difficult to move for the simple reason as of it's well made. In the top here, we've got ... This is the removable magnet. Obviously all this stuff will congregate inside around the magnet's sheath inside. You can take the magnet out. Open up your valve, which will be attached to the bottom, and just flush. Any of the magnetic stuff, because the magnetic stuff will fall now the magnet not being in there, will fall to the bottom. Then, obviously once it's at the bottom, turn it on. Flush it straight through. You've got none of that stuff obviously in there. You can wash it down the drain. You can make sure that you're not keeping it in there. You know and you can physically see in the bucket what's in there. Fantastic filter. Really, really well made. I mean, in fact, it looks brilliant as well being in the chrome finish. Yeah, highly recommend. They're a fantastic filter, does the job as well. That's one of the main things. It doesn't just look good, it does actually do what it needs to do without leaking, without having to worry about it. It's a fit and forget is what I always call them. You can literally fit it and not have to keep going back and thinking, oh is that going to be leaking? They're not a cheap unit. They're not one of the cheap things you can get from Screwfix. They are a superb unit that you pay a good price for, but I believe it's worth that. I think if you ... I like to fit the best for my customers. If I'm fitting the best, then I'm not going to have any problems. If you're fitting the best, you've got to be fitting these. 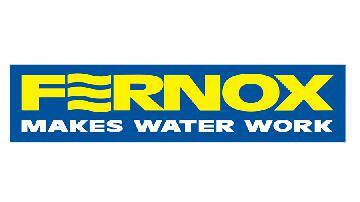 Today, the review was on the Fernox TF1 Omega Filter. Fantastic filter, 100% recommend this filter to any heating engineer that's going to be installing any kind of boiler or any installation like this. It is a high quality product made from fantastic materials, made from top quality obviously engineered brass. Really good looking unit, very solid, very sturdy. Definitely a recommendation, 100%.